Are you looking for a quick dinner idea? 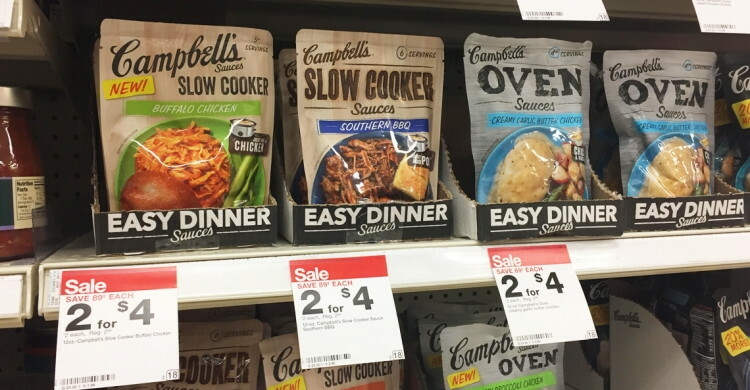 This week Campbell’s Dinner Sauces are on sale for $2.00 at Target. Stack a 20% off Cartwheel offer with a $1.00/1 printable manufacturer coupon to pay just $0.60!